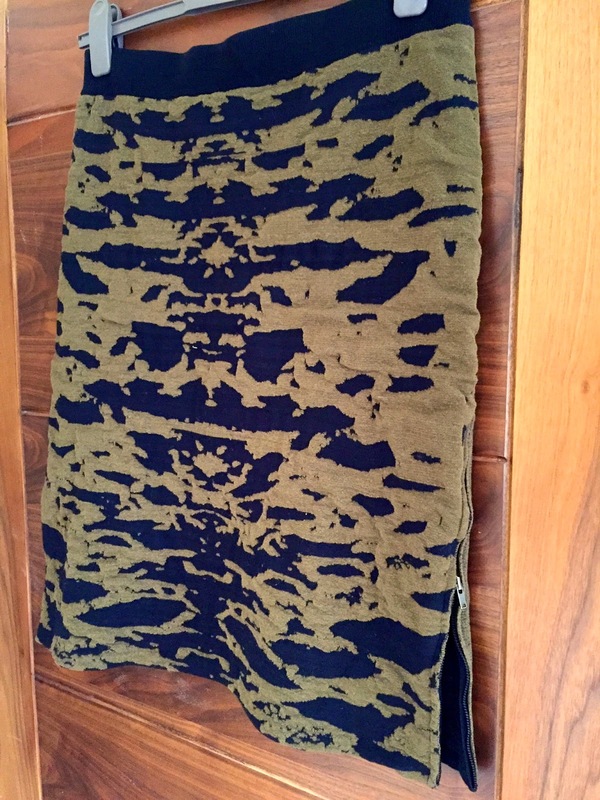 I found Dagmar last year when I saw this skirt on the naughty-but-nice Net-a-Porter site. 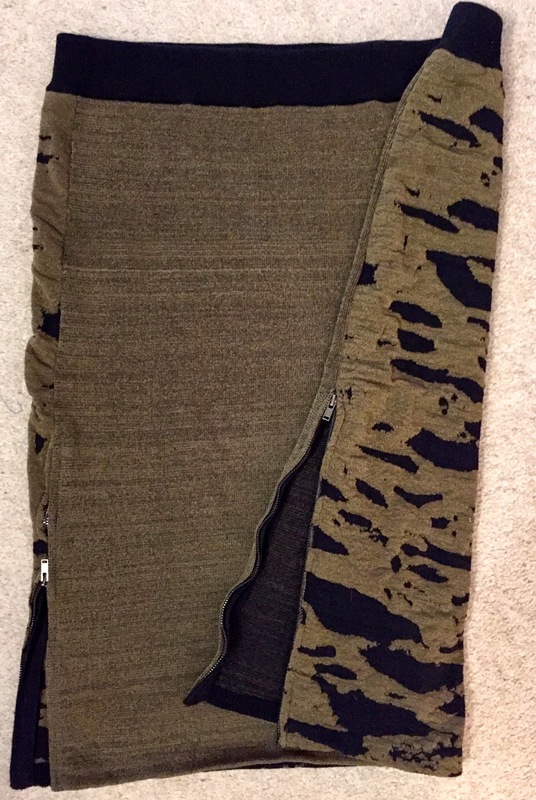 Its green camouflage pattern is really flattering, and the zips on the side make it a little more fun than a normal pencil skirt would be. It's also very stretchy, so even on 'fat days' I can fit into it. I've worn the skirt so many times now that I think a lot of people think its sewn onto to me; still it doesn't show any signs of wear and tear. Plus it can just be shucked into the washing machine time and time again. 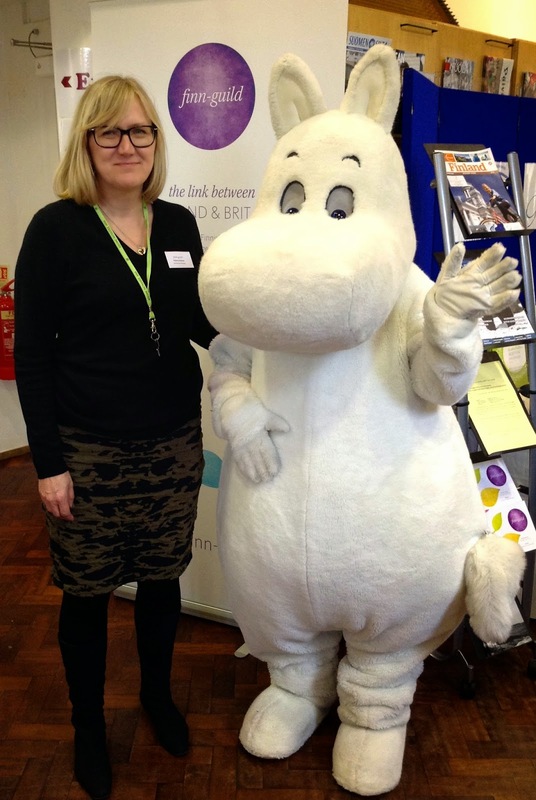 Here I am wearing my Dagmar skirt, posing with the Moomin troll. This is why I like a lot of Swedish brands; even H&M - which after all is a value fashion brand - makes items that last a lot longer than their British or Spanish counterparts. I''m not naming any names, but you know that irritation when a t-shirt turns bobbly or stretched after just one wear and wash. Or when the label tells you that a simple skirt of shirt needs dry cleaning - or worse still - the label says 'Do not wash'. What is that all about? 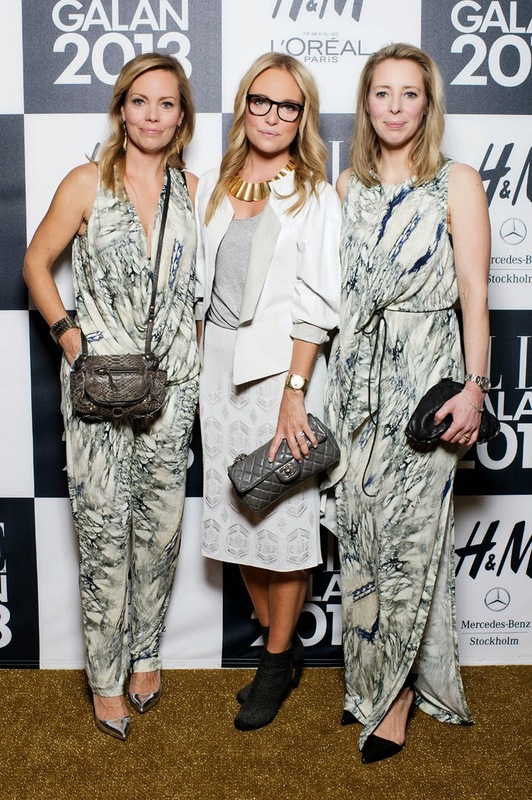 Swedish House of Dagmar is a quirky label, designed by three Swedish sisters. Tall, blonde and beautiful, I'd have to hate them, would they not produce such fun an wearable clothes. One of their most important fans is the Swedish Crown Princess Victoria, so once again I'm wearing clothes favoured by Royalty. I must be getting old. Princess Victoria wearing a Dagmar dress.